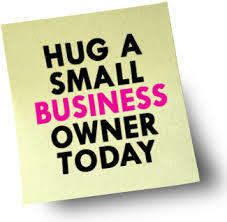 Start a small business and love what you do! There are many reasons why you may be considering taking on or starting a small business you can run from home. After the recent change in the incumbent government, it will come as no surprise that within two working days of them taking office, they have announced punitive cuts to benefits. Of course there will be more to follow. While many people would enter the work force if they could find jobs that were flexible enough to fit in with childcare or the working hours of their partners, or jobs that they had the skills for, it has to be understood that in some cases, that isn’t an option. Other people just want to work for themselves and be entrepreneurial. People in later life choose to leave the workforce and do something for themselves. Now seems a good time to think about ways that you can start a small business that you can run from home. For the sake of this article I am going to assume that you have minimal start-up costs. If you’re prepared to take a risk and work hard there are plenty of options. So let’s see what we can come up with. Fix it Queen or Bodge it Bob? If you live on an estate or in a community, a small business you can run from home would potentially be the local fix it man or woman. 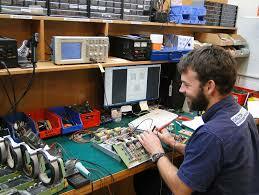 Many people live alone and don’t have the skills or the tools to undertake simple jobs. Things like putting shelves up, erecting flat pack furniture, up righting fences blown down in the wind, quick painting jobs, cleaning gutters etc. By defining the boundaries you’re prepared to work within, and charging say, £20 per hour (or part thereof) for example, it will save your customer money but give you a fair income. You’ll become the go-to fix-it person for your area. I really wish I had someone like this locally! There’s a need out there! 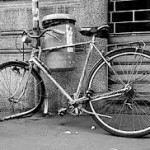 If you have a garage why not utilise it to tune-up and repair bicycles? Offer deals on tune-ups during the winter particularly and then be prepared to be busier in the summer and at weekends. 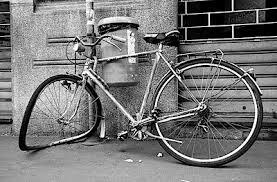 You could have a side-line of buying used bicycles and doing them up and selling them on from your garage and on eBay and Gumtree. Of course there are big companies that undertake cleaning but have you seen how much they charge? This is because many are franchises or agencies and so there are lots of people taking a cut, not just the person wielding the duster. Stay local and offer two hour cleans for a set price. If you do a good job, your contacts will grow by word of mouth and you’ll be in demand. Consider offering it to shops too. I have a friend who has a lot of glass in her shop and she hates doing the cleaning! Many people have asked her for part time jobs but no-one has ever asked if they can come in and do her cleaning! 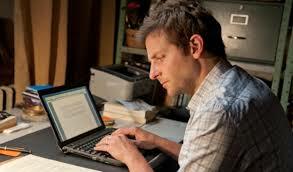 This looks like me writing this blog! Another small business you can run from home, where you have the necessary skills, would be through offering services such as copyediting (checking facts and altering grammatical and stylistic errors), proofreading, ghost-writing (articles or books for someone else), copywriting (promoting a business or service),or providing web page content. Watch out though, competition for work is fierce because everyone thinks they can write! Electronic or computer repairs – if you have the necessary skills and equipment – will allow you to work at home in your garage or workshop or shed. Advertise in the cheap press and via the internet (Facebook for example) and have customers bring their repair projects to you. Recycle parts and encourage people to give you their old electronic devices and laptops so that you can use them as spares. If you are trustworthy and have the knowhow you could offer a safe disposal service for laptops and computer equipment. I have three laptops waiting to be disposed of but am scared of people accessing the information stored on them. Offering a service like that would be really helpful but you would need some good objective feedback and guarantees. Car boots, flea markets, jumble sales etc. Everyone loves a bargain and as austerity bites ever deeper and people have less money, the popularity of car boot sales, flea markets and the like grows ever popular. 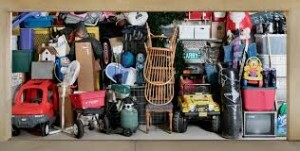 You can start off by using your own unwanted belongings and then quickly move on to buying items cheaply wherever you see them. Encourage friends or relatives to donate to you, and keep an eye out for cheap lots on auction websites, or on Facebook local pages, Gumtree and the like. 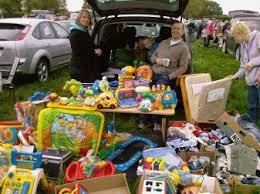 If you attend regular events make sure that you change the layout of your stall or table regularly. You’ll catch the eye of different people with different things that come to the fore. Another idea for a small business you can run from home, if you’re particularly good at something, is to offer coaching. You could offer IT lessons to the elderly for example – perhaps teach them how to use eBay, Skype, Folksy or Etsy or Pinterest. Remember an awful lot of people over the age of 50 have never had any formal teaching where computers are concerned and while some may have learned in the workplace or through their children, there are plenty who haven’t. You could also coach beginners in something you’re good at – tennis or golf for example, knitting or crochet, Indian cooking, baking, gardening. If you have a skill, offer it to others. Sort it out! Start your small business today. If you live in a busy area, town or city, why not offer organisation for households? Start by creating a portfolio of storage ideas (check out IKEA, Wickes, Homebase, The Range, Dunelm, home magazines etc. for the latest ideas) and build up a mood board or portfolio of your ideas. Persuade a couple of friends to let you model their homes for starters (you could do a bathroom for one, a bedroom for another, a kitchen for someone else etc. etc.). Take photos and display in a portfolio. Then come up with a questionnaire for your clients that looks at their style and the way they sue their homes. What are their priorities? Are there lots of toys, or is there a collection (records, books, soft toys, railway etc.) that need to be neat and tidy. Come up with a plan and show your client – provide costings and then tweak according to their comments. 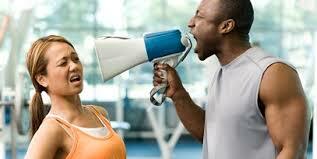 Got what it takes to be a personal trainer? If you have the experience, training or appropriate licensing you could consider becoming a personal trainer. 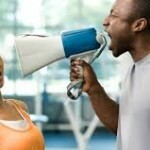 Again, if you target your locality and offer packages you may become a trainer of choice and convenience. You could offer a slight discount for people who will train with you in small groups – say running in the park etc. Alternatively, if people want privacy when they train you can work with them in their house or garden or one to one on runs outside. 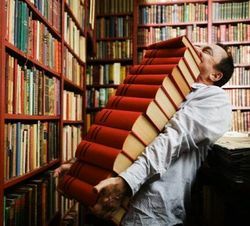 Bookselling – actually can be hard graft! Electronic devices are still extremely popular but book sales have started to rise again. There is nothing like reading a proper book. If you are a book enthusiast you could consider having your own book sales – on a car boot stall or the local market for example. You can also sell via eBay or Amazon. Specialist shops tend to do the best – so you could aim to be the go-to place for all things science fiction for example – and then sell matching t-shirts, posters, postcards etc. A quite brilliant small business you can run from home is a gift basket service. I’ve seen some clever offerings from people who have started gift basket services. Basically, you take a basket and fill it with some gorgeous tissue paper etc. and then add in gifts. You can theme the baskets – so you could choose from girl baby, boy baby, new Mum, Mother’s Day, Father’s day, 40th birthday, 21st birthday, Get Well Soon, new puppy, gardener’s delight, football fan, chocoholic etc. etc. The world is your oyster! You will need some creativity and you will have to make some financial outlay so that you have all the bits you need for each basket you offer. Go online and send all over the UK. 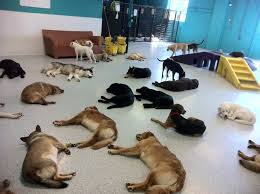 If you have the experience, training and the required licensing, you love animals and are not too house-proud then a pet sitting or doggy day-care business may be the perfect small business you can run from home. You can approach this in two ways – firstly you can visit other people’s homes and feed and water their pets, take them for walks and spend time with them while their owners are at work, or secondly – you can take in pets, either for the day or for longer periods of time. Obviously I’ve saved the best for last here. The ultimate small business you can run from home! Why not consider selling new products that you pick up for low prices and then sell on to make a killing. Here at Wholesale Clearance UK we have a huge variety of goods that should be of real interest. You could either specialise in a certain area – say clothes or toys or fragrant items or jewellery or novelty items – or you could just buy up whichever job lots particularly float your boat. These lots are perfect for people with a lock up shop, a market stall or for those who sell on eBay or similar sites. You can also sell through your local Facebook pages so there’s plenty of options for you. You can start out small and move on to bigger and brighter things as you begin to make more profit. Check out some of our other blog posts from over the years about customer service, making your first million and selling on eBay. 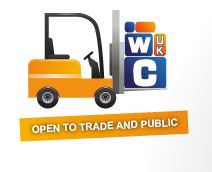 There’s plenty of help for you on the Wholesale Clearance UK website. If you have any questions you’d like to ask other sellers – or me – why not drop us a line below or come and have a chat with us on our Facebook page. I would like to start a online selling business, is it possible to sell on http://www.wholesaleclearance.co.uk from outside EU/UK? « Sainsbury’s Profits Warning: Actually a forewarning to small businesses?